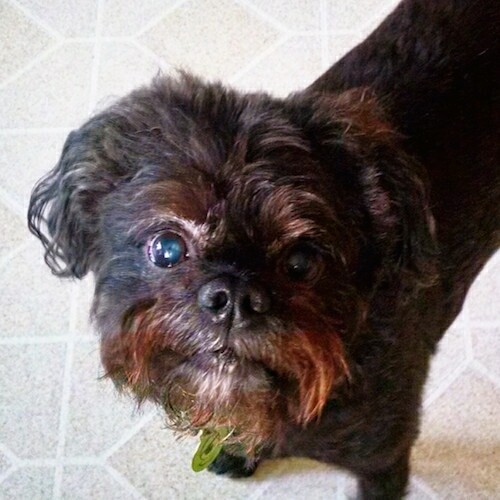 "This is Marvelous Marvin a Broodle (Brussels Griffon x Poodle) at 9 years old. He's my grand-furKid and one of the coolest dogs in town! Easy going, great with kids, healthy, active... and adorable!" The Broodle Griffon is not a purebred dog. 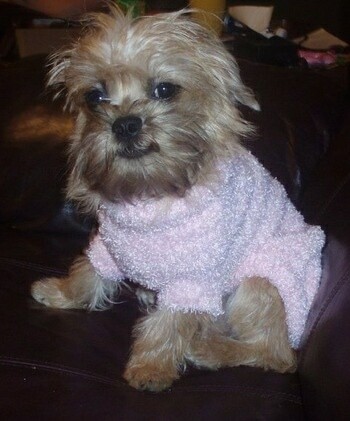 It is a cross between the Brussels Griffon and the Poodle. The best way to determine the temperament of a mixed breed is to look up all breeds in the cross and know you can get any combination of any of the characteristics found in either breed. Not all of these designer hybrid dogs being bred are 50% purebred to 50% purebred. It is very common for breeders to breed multi-generation crosses. "Lucky, a Broodle Griffon at 11 months is a mix of Brussels Griffon and a Toy Poodle." "This is my new 7-week-old puppy named Jet Becaine Dykstra. Jet is a Brussels-Poo. 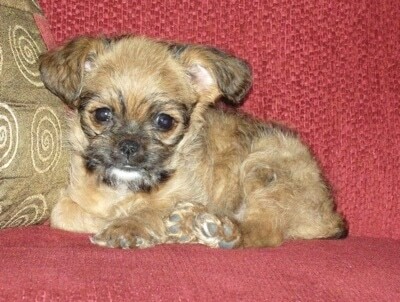 That is a mixture of Brussels Griffon and Toy Poodle. He is a very gentle and playful puppy. He is already very smart and fetches his toys to bring back to me and I think he is going to be easy to teach tricks. I am only 10 years old and this is my very first puppy."